CAM the Ram is named for Colorado Agricultural and Mechanical College, the former university name. 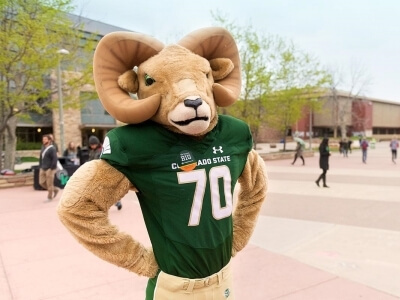 Every year, April 18 is “I love CSU day,” a time to show Ram pride and wear green and gold. Folks of CSU and Fort Collins find themselves explaining the treasured “A” painted on the Rocky Mountain foothills next to Hughes Stadium is for “Aggies,” the CSU nickname until 1957.